Sony has confirmed that it will be bringing PlayStation Now to Samsung Smart TVs at some point in 2015. 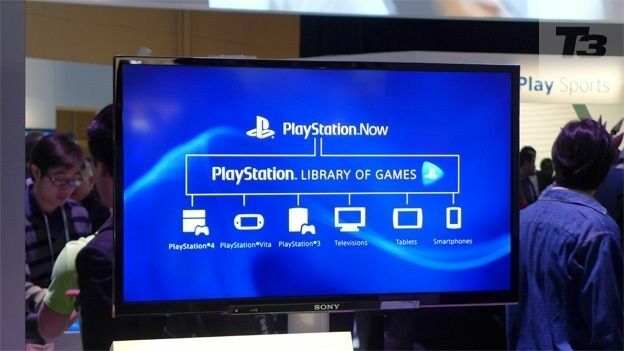 Nearly a year ago Sony CEO Kaz Hiraiannounced PlayStation Now, a cloud-based gaming service that lets users access PlayStation games without requiring a console. So far it's only been available on Sony devices, but that's all about to change. Next year PS Now will be available on Samsung Smart TVs. Users will be able to access the service via an app downloaded through the TV's smart Hub. No actual PlayStation is needed, instead you stream games from the Web straight to the TV. “[O]ur vision has been to open the world of PlayStation to the masses by offering the service on the devices they use every day,” said Masayasu Ito, Executive Vice President of Sony Computer Entertainment Inc. in a statement. All that's required is a decent internet connection and a Sony DualShock controller, then you're away. There's a vast library of 200 PS3 games to start playing immediately. At the moment PS Now is only available in the US and Canada, but with the service expanding to other platforms it's likely we could see it reach the UK soon. There's no word on when the PS Now app will launch but we'll keep you posted. In the meantime PS Now will be demoed on Samsung Smart TVs at CES 2015. We'll be on hand to report all the latest from the show floor in Las Vegas.